Jimmie D. Blair, 65 of Clyde, OH passed away Friday, September 21, 2017 at home surrounded by his family. He was born on October 30, 1951 in Big Rock, VA to Henon and Ruth (Chapman) Blair. Jimmie married Cindy Walker on October 30, 1983 in Baltimore, MD and she survives. 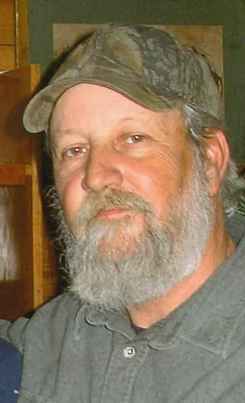 He was a lifetime carpenter and enjoyed hunting, fishing and being outdoors. Jimmie is survived by his wife, Cindy Blair, Clyde, OH; children, Christopher (Lauren) Blair, Green Springs, OH, Jimmie (Ashley) Blair, Jr, Clyde, OH, Terry (Kim) Blair, of Maryland; siblings, Carol Smith, Fremont, OH, Bonnie Hoppe of Tennessee, Terry Lee Blair, Oak Harbor, OH; several grandchildren, nieces and nephews. He was preceded in death by his parents and sister, Alma Byington. Services will be held private for the family. Memorials can be made in honor of Jimmie to donor’s choice. Blair family, please accept my deepest condolences. May God’s promises found at Acts 24:15 and Psalms 37:29 bring you comfort during this difficult time. I’m so sorry for your loss. You all will always hold a special place in my heart. Prayers! My family and I are sending prayers for you to heal. Jimmie was a wonderful man always waving when I passed the house! I know he is in God’s arms now. You are in my family’s thoughts. Please reach out if you need anything. Blair family, so sorry for your loss, you are all in our prayers. May God provide strength and love through your grief. Cindy I am so sorry for your loss. As hard as this is I pray you will take comfort and peace in knowing he is no longer in pain. I will be praying for you and your family. Our thoughts and prayers go out to you at this time. I always enjoyed having you for neighbors, good memories. May God wrap his loving arms around you all.